Mr. Crnko is in his 35th year as Music Director of the Northwest Choirs. During his tenure, the Northwest Choirs has grown from a small 50-member group with several concerts a year, to a vital arts organization of 200 members in seven progressively graded ensembles, an annual schedule of more than 40 concerts, a biennial international tour program, and a schedule of professional studio recording engagements. In this time, the Northwest Choirs has established itself as a prominent member of the Pacific Northwest performing arts community sharing the stage regularly with the Seattle Symphony, in addition to other area professional arts organizations. Mr. Crnko regularly conducts orchestral and choral recording sessions for movie and video game soundtracks. Among his many projects are the films The Last Stand, Let Me In, Boondock Saints, The Celestine Prophecy, and such video games as Halo, Medal Of Honor, and World of Warcraft. Mr. Crnko holds a Bachelor Degree in Percussion Performance from CSU Sacramento, and a Masters Degree in Instrumental Conducting from the University of Washington, where he studied with conductor Michel Singher. Mr. Crnko lives in Seattle with his wife, Wendee, and their two children, Katharine and Nick. Now in her 24th year with the Northwest Choirs, Maria Johnson holds a Bachelor of Music degree from Western Washington University where she studied voice with Marianne Weltmann. While living in Russia from 1996-2000, Ms. Johnson served as music and drama instructor for the Anglo-American School in St. Petersburg, Russia. 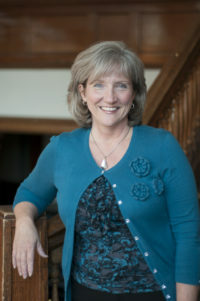 In addition to her work with the Northwest Choirs, Ms. Johnson was the Music Director for the Endolyne Children’s Choir in West Seattle for eight years. An accomplished vocalist, Ms. Johnson frequently performs as a session singer for movie and video game soundtracks. She has appeared on recordings for such movies as Angel Eyes, The Celestine Prophecy, Millions, Mirror Mirror, Novocain, and the popular video games Age of Empires, Halo II & III, The Legend of Zelda Symphony, Medal of Honor, Peggle 2, World of Warcraft, Destiny and Recore. Ms. Johnson has also appeared locally as a soloist for numerous events. Ms. Johnson is a graduate of Vocalpoint! Seattle, formerly known as the Northwest Youthchoir. She lives in West Seattle with her husband, Rolan and poodle, Stoli. 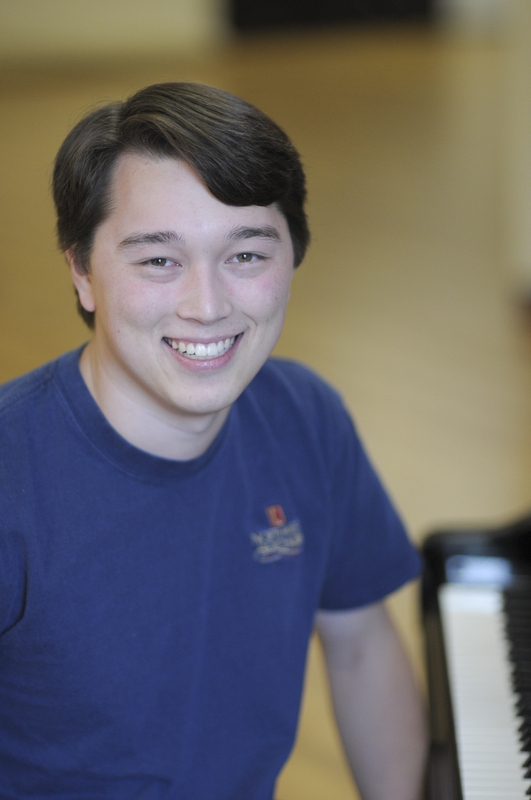 Connor Bennion has been playing the piano and teaching for the Northwest Boychoir since June 2008. Connor is a 2011 alumnus of the Northwest Boychoir and Vocalpoint! Seattle, and is currently attending Wesleyan University. He also spent four years as music director of the Acafellas, a male a cappella group for which he provided original arrangements, and is currently a member of the Wesleyan Spirits. Mr. Bennion has been taking piano lessons since he was three years old. His older brother, Owen Bennion, graduated from Vocalpoint! Seattle in 2005. With ringing high notes and an easy, polished technique, tenor Joel Cummings has charmed audiences of all kinds across the United States. Mr. Cummings has performed leading and supporting roles in regional opera houses across the US, and is a frequent concert artist and recitalist in the Seattle area. 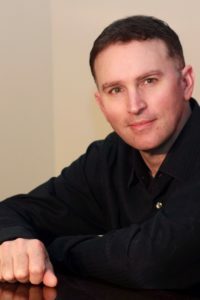 Mr. Cummings received his Master of Music in Vocal Performance from New England Conservatory in 2007, and his Bachelor of Music in Vocal Performance from Pacific Lutheran University in 2004. As a voice instructor, Mr. Cummings serves as Affiliate Faculty in Voice at Trinity Lutheran College in Everett WA and as Adjunct Voice Faculty at Skagit Valley College in Mount Vernon, WA, as well as maintaining a busy private teaching schedule. Students have gone on to study at the American Musical and Dramatic Academy in Los Angeles, George Fox University, Pacific University, Central Washington University, and Western Washington University, as well as local community colleges. Mr. Cummings is an alumnus of the Northwest Boychoir and Vocalpoint! Seattle. He lives in Snohomish, WA with his wife Jaclin and daughters Camryn and Darcy. 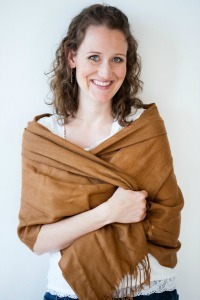 Rebecca Ifland is an avid musician with a passion for ensemble work. Studying with Dr. Laura Loewen and Dr. Judy Kehler Siebert, she earned a Master’s degree in collaborative piano performance from the University of Manitoba (2006) to add to her undergraduate degree from Trinity Western University (2003) and her Associate degree in Piano Performance from The Royal Conservatory of Music (Toronto, 2002). Her rich musical background and quick intuition allow her to connect with many vocalists and instrumentalists in recitals, auditions, competitions, recordings, and professional coachings. Ms. Ifland has worked as a rehearsal accompanist for Manitoba Opera, a choral conductor, a private piano teacher, and a university instructor of both music theory (TWU) and piano accompaniment (UM). She currently resides in the University District area of Seattle, Washington. Ben Kromholtz is an active music professional who is in demand as a choral director, adjudicator and accompanist in the greater Seattle area. In the last few years, Mr. Kromholtz has been staff accompanist for the Northwest Choirs, Seattle Choral Company and Bellevue High School. Mr. Kromholtz has adjudicated multiple choral festivals and directed honor choirs in the greater Seattle area in the last decade. In 1997, Mr. Kromholtz joined the Northwest Choirs, beginning as a teaching assistant and accompanist. 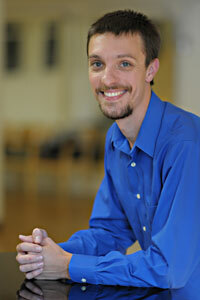 Mr. Kromholtz is now the director of the Northwest Boychoir Apprentices. 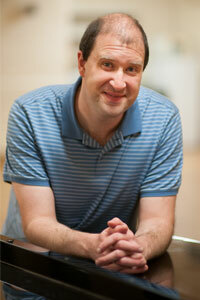 He also teaches the Preparatory Choir, the all-important entry level to the Northwest Boychoir. 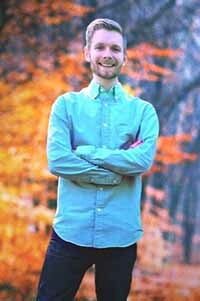 Ben Kromholtz is a graduate of the Northwest Boychoir and Vocalpoint! Seattle, and has over 25 years of ongoing involvement with the Northwest Choirs. He holds a Bachelor of Arts degree in Music and a Bachelor of Music in Music Education from the University of Washington. Mr. Kromholtz lives in Bothell with his family. Nathaniel Papadakis is happy to have returned to the staff of the Northwest Choirs, where in past years he has served as both Staff Accompanist and Assistant Music Director. Mr. Papadakis is also an alum of both the Northwest Boychoir and Vocalpoint! Seattle. In the time since, Mr. Papadakis has produced, arranged, conducted, and composed original music for myriad applications, including writing for dozens of videogame soundtracks (Toy Soldiers: Cold War, Full House Poker, The Simpsons Game, How to Train Your Dragon, and Shrek Forever After and many more). His corporate ad work has included TV/Radio spots for Microsoft, Volkswagen, Pacifico, Blue Nile and Pizza Hut. He also regularly conducts choral recording sessions for videogame and film scores (Destiny, World of Warcraft, the Middle Earth series, DOTA 2, Starcraft II, and others). 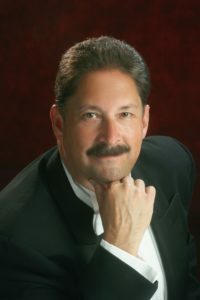 Mr. Papadakis attended the University of Washington and the New England Conservatory of Music, where he studied piano performance with Veronica Jochum. He currently lives in Seattle with his wife, Cheryl, and two daughters, Zoe and Mia (who is now a member of Vocalpoint Girls Prep). Jordan Smith is a proud alum of the Northwest Choirs, and returned as a staff member for the Northwest Boychoir in 2017. Jordan graduated with a BA in music from Central Washington University, and is often contracted to sing on various soundtracks for film and video games. In his spare time, Jordan writes and records music in his home studio and is the lead singer for the Seattle-based progressive jazz band MEDAQ, which features other NWC Alumni as well. During his time in the Northwest Boychoir and Vocalpoint, Jordan participated in four tours around the pacific coast, performed often with the Seattle Symphony, and sang on the Grammy-nominated CD The Shoe Bird, as well as the River Legacy CD and other NWC recording projects. 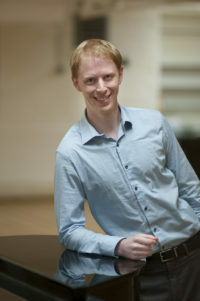 Jacob Winkler received his Bachelor of Arts in Music from the University of Washington, where he studied piano with Holly Herrmann and Marc Seales, and conducting with Tim Salzman and Peter Eros. He earned his Master of Music degree in conducting from the University of Washington in 2003. In 2006 Mr. Winkler served as music director for the Seattle Children’s Theater critically acclaimed production of Peter and the Wolf. An accomplished vocalist, Mr. Winkler frequently performs as a session singer for movie soundtrack recording sessions. Mr. Winkler entered the Northwest Boychoir in 1984 and later graduated to Vocalpoint! Seattle. As a member of the choirs, he participated in two international tours, three Christmas recordings, and numerous Vocalpoint! Seattle productions. On the staff of the Northwest Boychoir, he served as accompanist and associate director on four domestic tours. Mr. Winkler boasts 26 continuous years of involvement with the Northwest Choirs. In Fall of 2009, he became the Artistic Director of the Seattle Girls’ Choir. Mr. Winkler lives in Seattle with his wife, Jessie, and their two sons, Leo and Christopher. Aleks Bennett started working at the Northwest Choirs in 2017 to oversee our office and be our main point of contact to our families, after admiring the organization as a Northwest Boychoir parent since 2012. She was born in Belarus, and spent her childhood in Belarus and Germany. She holds a degree in history and political science from the Belarussian State University, with 1 year as an exchange student in Bochum Ruhr University in Germany, where she met her husband David. She moved to the US at the age of 21. Aleks spent many years volunteering at schools as a parent-teacher coordinator, and a fundraising coordinator. For the last 10 years she was involved with her husband’s business as administrative support and projects coordinator. Aleks, David, their sons Dominic and Vincent live in Issaquah. 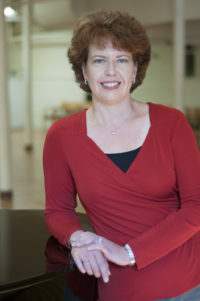 Kim Henwood has advocated for the arts, educational children’s programs and music her entire life, and has worked with the Northwest Choirs since 2010. 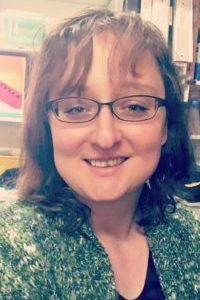 Prior to working at Northwest Choirs, she enjoyed working in the publishing industry (touring with authors at school assemblies and special events around the globe) for environmental education children’s books. Kim and her husband Jay are Washington natives. They live in Kirkland, WA, where they have raised their two adult children, Jamie and Kellie.